Our main site is on the beautiful Wimbledon Common and is open from 5-14 October 2018. 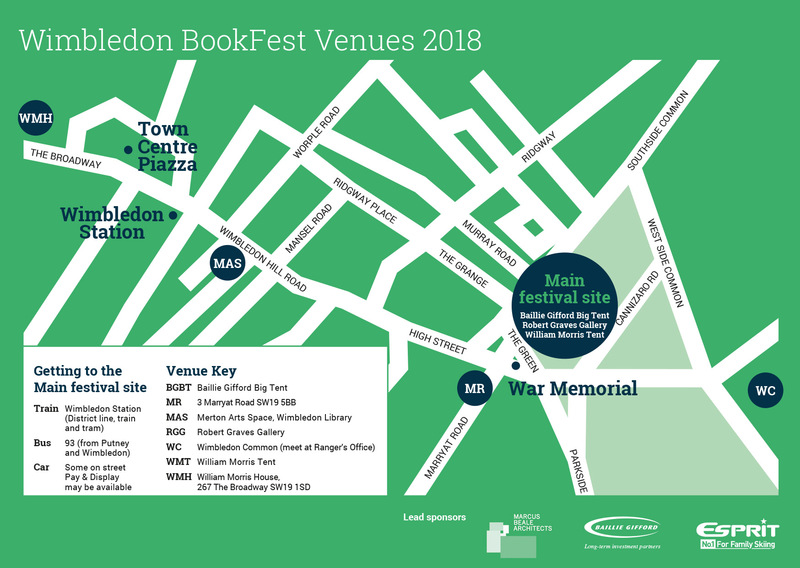 Wimbledon BookFest also takes place at a number of venues in Wimbledon including Merton Space at Wimbledon Library (Wimbledon Hill Rd, SW19) and 3 Marryat Rd (Wimbledon Village, SW19). Walk: 10-15 minutes to Festival site up Wimbledon Hill and through Wimbledon Village. Parking: is not available on the Festival Site:Some on street pay & display may be available.